Looking for a mighty machine like Thor to do your laundry? See what’s out there for appliance Kelowna shoppers looking for the best in front and top-load washers. It’s time to raise the gauntlet and thank “Thor” for saving our hands when doing laundry. No, we’re not talking about the Norse god of thunder or hunky Australian actor Chris Hemsworth and his hammer from those Marvel movies, but another mighty machine. Invented by the Hurley Machine Company of Chicago in 1908, Thor was actually the name of one of the very first electric powered clothes washers that was sold commercially. Today, Thor has been replaced by both top and front-loading washing machines featuring digitized controls that handle the wash and rinse temperature, timing and spin speed. To help appliance Kelowna shoppers, we offer our thoughts on which washers top and front-load, that pack the most power and offer the best bang for your buck, and which work better for smaller spaces. GE appliances’ top-loading 4.6 DOE cu. ft. Capacity Washer with Stainless Steel Basket is an Energy Star®-rated machine that is said to clean clothes on a normal cycle in around 30 minutes, unlike some models that take up to one hour. Going back to the days of Thor, there are still those who argue that top loaders with a single or duel agitator, or impeller (a short agitator used in newer high-efficiency models) clean better than front loaders, which do not use an agitator. And there lies another issue. Machines that run with an agitator can be a little tougher on your clothes and also need more energy to run, but they often remove stubborn stains and remove dirt better due to their twisting and turning motion. So which is better? It really depends on personal preference. 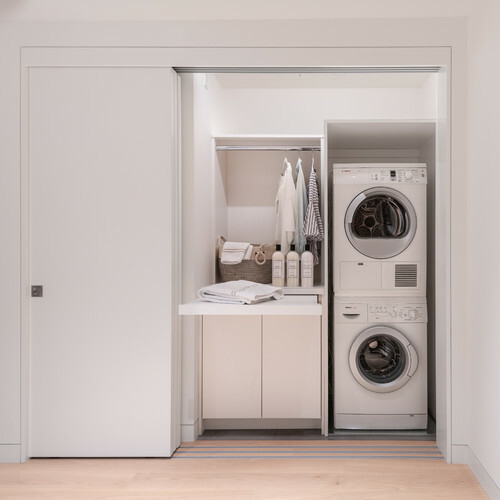 Whirlpool appliances has received favourable reviews for its 5 cu.-ft. high-efficiency top-load washer, which uses a low-profile impeller to clean clothes gently but with the power of a front loader. One of the other main differences between a top loader and a front-loading machine is the amount and type of detergent used for either. As a front-loading machine tends to use less water, it requires an (HE) low-suds formula detergent while a top-loading machine with an agitator can usually run on normal detergent. Maytag appliances offer both top-load and front-load washers that have an Optimal Dose Dispenser, which automatically releases detergent, fabric softener and oxygenated additives at the right time for an optimal cleaning performance. You can still invest in superhero appliances even when you live in a condo or home with a small-sized laundry room. That’s because of today’s modern and amazingly compact and convenient stackable washers and dryers. While most come in front-load models, including Bosch appliances’ 24”Compact 500 Series that can fit in just about any space, there are also stackable top-load models that are better for those on a budget: GE appliances’ Electric Stacked Laundry Centre is said to perform as well as a standard washer and dryer. 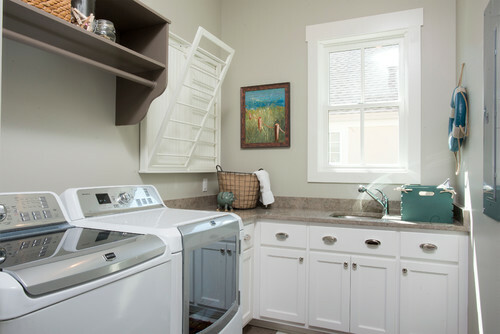 The washer has a dual-action agitator that is said to thoroughly clean garments, while 11 wash cycles offer a variety of settings for different fabrics and cleaning capabilities. For more information, read our blog on 5 Washers and Dryers that Will Save You Time, Money and Space. See why Genier’s is worth the drive to Vernon when looking for Kelowna appliance stores that offer the best selection of modern brand-name appliances. At Genier’s, you can see how an appliance looks and performs with help from our friendly non-commissioned sales staff. We also offer Okanagan-wide delivery, from Kamloops to Osoyoos.